"On Time, Polite, Tidy, Nice Guys, Good Job." "Great Electrician. Very Friendly And Efficient. Would Use Andrew Again." "Fantastic Customer Service - Job Very Well Done." 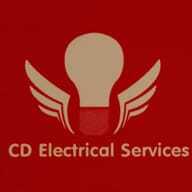 "From Start To Finish Service Was Excellent"
Need a Electrician in Cambridge?